Elected to the Senate from Wisconsin in 1946, McCarthy had an undistinguished career until he announced in a February 1950 speech to a Republican women’s organization in Wheeling, West Virginia, that he possessed the names of 205 Communists who had infiltrated the State Department. Although McCarthy was never able to substantiate the charges, he fueled a “red scare” that propelled his reelection in 1952 and his chairmanship of the Government Committee on Operations of the Senate and of its permanent subcommittee on investigations. This gave him a forum to air his sensational allegations of Communist subversion in government, industry, Hollywood, and the U.S. Army. 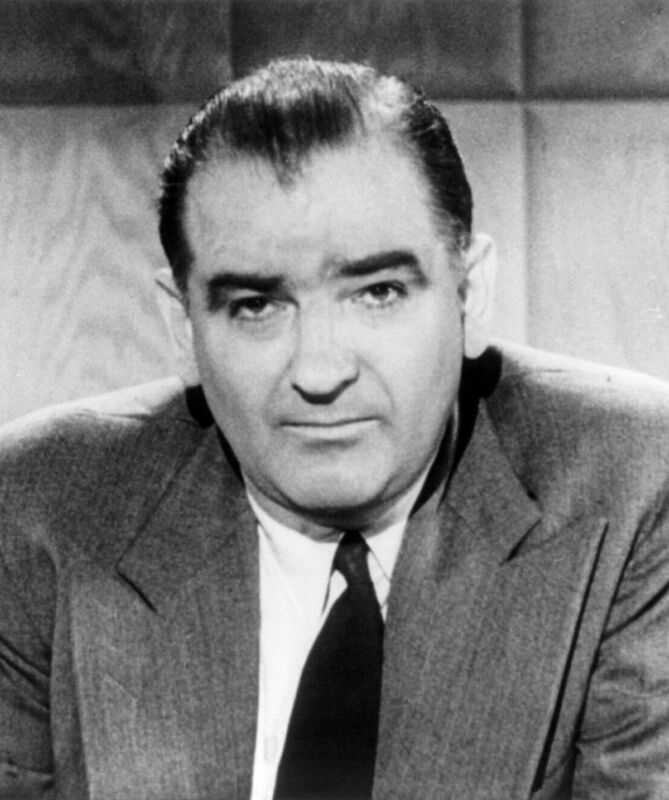 Although McCarthy never succeeded in actually identifying a single subversive, the antiCommunist hysteria he generated dominated much of the national life for the next two years. His innuendo was sufficient to ruin many careers, and McCarthy became an intensely polarizing figure: reviled by many, and regarded as a patriot-hero by many others. Most politicians were afraid to challenge him, but as his allegations became increasingly reckless the challenges began to come. When he turned against fellow Republicans, including President Dwight D. Eisenhower, and also alleged that the army had been infiltrated by Communists, the Senate held 36 days of nationally televised hearings on his charges. This proved to be his downfall, as the American public saw in McCarthy a desperate, reckless bully. On December 2, 1954, McCarthy’s Senate colleagues censured him for conduct unbecoming a senator. The era of McCarthyism was at an end.